The legendary Dr. John is a six-time GRAMMY® Award-winning musician and Rock & Roll Hall of Fame inductee. Known throughout the world as the embodiment of New Orleans’ musical legacy, Dr. John is a true icon in American culture. His colorful musical career began in the 1950s when he wrote and played guitar on some of the greatest records to come out of the Crescent City, including recordings by Professor Longhair, Art Neville, Joe Tex and Frankie Ford. In addition to his six GRAMMY® wins (1989, 1992, 1996, 2000, 2008 and 2013), he has received six other GRAMMY® nominations over the years. In 2006, he was nominated for Sippiana Hericane, his Hurricane Katrina benefit disc. 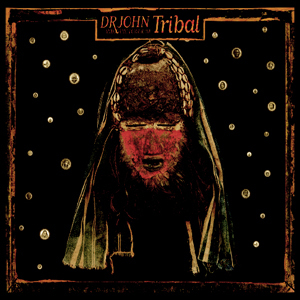 After Hurricane Katrina, Dr. John immediately stepped up to the plate with generous relief fund-raising concerts and recordings. In 2007, he was also inducted into the Louisiana Music Hall of Fame and the Blues Hall of Fame. In 2008, he released City That Care Forgot, winning a GRAMMY® for Best Contemporary Blues Album. His 2012 release Locked Down, with Dan Auerbach of The Black Keys also won a GRAMMY® for Best Contemporary Blues Album. In 2013, Dr. John was awarded an honorary doctorate from Tulane University alongside His Holiness the Dalai Lama. 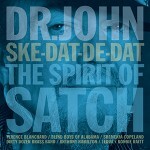 On September 1, 2014, Dr. John releases 'Ske-Dat-De-Dat The Spirit of Satch' on Proper Records, an album in tribute to another larger-than-life New Orleans legend: Louis “Satchmo” Armstrong. He honors Armstrong's musical genius as well as his effervescent personality with 13 classic numbers drawn from various phases of the seminal trumpeter and vocalist’s five-decade career, with Dr. John joined by a stellar supporting cast, including Bonnie Raitt, Ledisi, the McCrary Sisters, Anthony Hamilton, Shemekia Copeland, the Blind Boys of Alabama, the Dirty Dozen Brass Band and trumpeters Nicholas Payton, Terence Blanchard, Arturo Sandoval, Wendell Brunious and James Andrews. After a half century of creating music for others and himself, Dr. John continues to write, arrange, produce and interpret with a passion that has yet to wane.